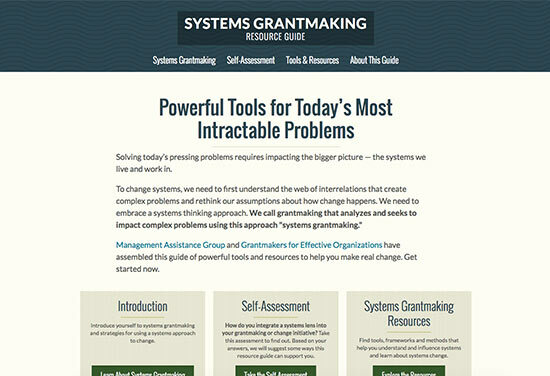 Tools and resources that help effect social change and at a systems level and on a massive scale. Nonprofit leaders, organizations, and networks often seek to effect social change at a systems level and on a massive scale. To do that effectively, they need to assess, strategize, and operate within the complex systems that they’re trying to change. But how can you analyze a system as complex as the global food chain, or the U.S. educational system? On the OE team, we’re trying to learn more about the range of tools, approaches and methodologies available to help nonprofit leaders, organizations, and networks make meaning of the broader context and relationships within the complex systems in which they operate. We think systems analysis and other approaches have the potential to be powerful tools in nonprofit strategy—if only we can all figure out what it means and how to best do it!